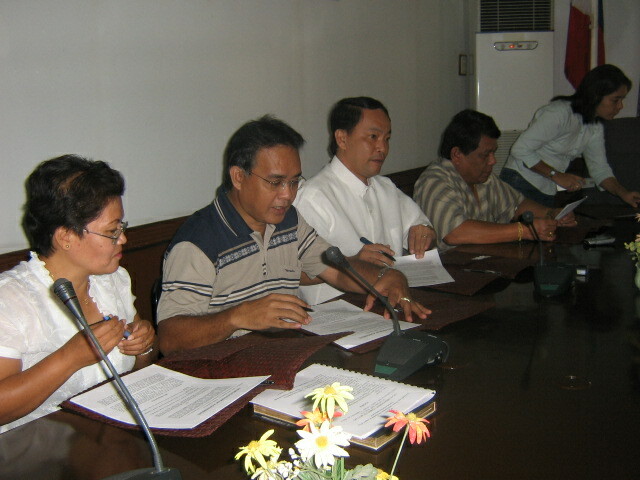 BEST of Bohol Project MOA Signing with Partner LGUs – PROCESS-BOHOL, Inc. The mayors of the towns of Catigbian, Loon, and Maribojoc each recently inked a respective memorandum of agreement with PROCESS-Bohol for PACAP funding of enterprise projects in the aforementioned towns. 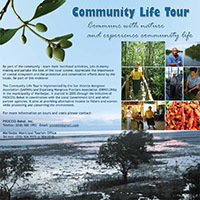 True to its commitment to develop and raise the living standards of the countryside, the Philippines-Australia Community Assistance Program (PACAP), a bilateral funding facility put up by the Australian and the Philippine Governments in 1986, has been actively supporting community-based projects in 17 priority municipalities in Bohol under its focused community assistance scheme (FOCAS). The Bridging Enterprises for Sustained Tourism in Bohol, a.k.a. ‘BEST of Bohol’ Project under FOCAS 1 is one of the 14 PACAP-funded FOCAS projects in Bohol starting mid-2006 to mid-2009. Implemented by PROCESS-Bohol in partnership with Catigbian, Loon, and Maribojoc LGUs, BEST of Bohol is aimed at developing traditional livelihood into profitable enterprises and businesses. These include bamboo-based handicraft production in Catigbian, romblon-weaving and integrated coconut-processing in Loon, and pandan -weaving in Maribojoc. The project aims to reduce poverty through the development and marketing of products made from locally grown raw materials and in support of the One Town, One Product (OTOP) programs of the said municipalities. These development initiatives are congruent to the Bohol Provincial Government’s and the civil society organizations’ thrust on poverty reduction and sustainable development. Of the total cost of about PhP 5.3 million, PACAP provides PhP 3 million as grant while the remaining amount is put up by the 3 LGUs and PROCESS-Bohol.